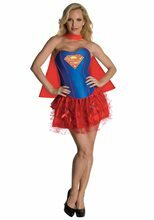 Supergirl Corset Adult Women Costume; Supergirl Corset Adult Women Costume Contains:Corset, skirt, cape. 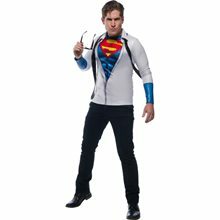 Get ready to save the world with this sultry costume! 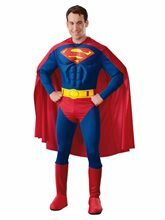 Includes red cape, blue corset with red trim and Superman logo, and red skirt with sheer ruffle overskirt.